StudentAid BC applications are processed within six weeks. You can check the status of your loan application online 24/7. 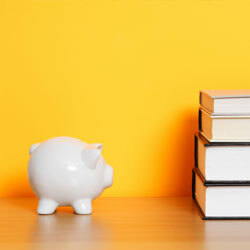 Receiving your loan is different depending on whether you are a full-time or part-time student. The Notification of Assessment (NOA) letter is posted to your StudentAid BC dashboard account after your StudentAid BC full-time application has been assessed. Indicate the type of funding you have been approved for (loan, grant/bursary). Show the amount of money you have been approved for. Tell you when you are eligible to receive your money. Include a 10 digit Master Student Financial Assistance Agreement (MFSAA) number. If you are approved for full-time funding through StudentAid BC you need to complete and agree to the Terms and Conditions of the Master Student Financial Assistance Agreement (MSFAA). The MSFAA is a legal agreement between you, the Province of British Columbia, and the Canada Student Loans Program about borrowing and repaying your student loans. The MSFAA is a multi-year agreement; you don't have to submit a new agreement every time you apply for funding through StudentAid BC. Do I need a Master Student Financial Assistance Agreement? Complete their MSFAA online and accept the Terms and Conditions of the Agreement. Have recently received loans or grants in another province/territory, but since established residency in British Columbia. I am re-applying for StudentAid BC funding. Do I need a new MSFAA? Only if you haven’t received StudentAid BC funding for a period of two years or more; otherwise, your existing MSFAA is still valid. How do I complete an MSFAA? Within two to three business days of receiving your Notification of Assessment (NOA) letter on your StudentAid BC dashboard account, you will receive a “Welcome Email” from the National Student Loans Service Centre (NSLSC). Your NOA will be posted to your StudentAid BC dashboard after your full-time application has been assessed. The “Welcome Email” will provide you the link to register for an online account with the NSLSC and complete your MSFAA. Your NOA letter will include a 10 digit MSFAA number which you will use to complete your MSFAA. Who do I contact for help with creating my NSLSC account? Visit the NSLSC Frequently Asked Questions help page or contact the NSLSC at: 1-888-815-4514. Note: The British Columbia Student Assistance Program (BCSAP) referred to in your B.C. student loan agreement, however titled, is now called StudentAid BC. When you agree to the terms and conditions of the MSFAA, your agreement applies to all assessed funds from that date forward. The next time you apply for student financial assistance you will not have to submit a new MSFAA. Just complete and submit a StudentAid BC application and view your Notification of Assessment. The funds you are eligible for will be deposited electronically into your account and/or forwarded to your school to pay your academic fees. Each grant and bursary program has different requirements for releasing funds. It is important that you refer to the Notification of Assessment or documentation sent to you to find out what you will need to do to receive your grant or bursary funding. In all cases, your enrolment in an eligible, full-time post-secondary program must be confirmed by your school before you can receive the grant or bursary money. After your MSFAA has been processed by the NSLSC and before your student loan and/or grant money can be released, your school must confirm that you are enrolled in an eligible, full-time post-secondary program for the entire study period for which you have been awarded funding. If you attend a B.C. public post-secondary institution or other school that offers electronic confirmation of enrolment, your school will automatically confirm your full-time enrolment with StudentAid BC. Most schools in B.C. confirm student enrolment online directly to StudentAid BC. Check to see if your institution confirms enrolment electronically. If you attend a school that does not access electronic confirmation of enrolment, and if you have provided a valid e-mail address, you will receive an e-mail asking you to access your account on the StudentAid BC website dashboard, to download a copy of your confirmation of enrolment form about a month before you are eligible to receive the student loan funds. If you have not provided a valid e-mail address, a confirmation of enrolment form will be mailed to you. If you have not provided a valid e-mail address and if your school is within Canada, the form is mailed to the school; if outside of Canada, the form is mailed to you, and you must take it to your school for them to mail or fax to StudentAid BC. Once your confirmation of enrolment form is processed, your student loan and/or grant funds can be released. If you lose your paper confirmation of enrolment form, download another copy from your account on the StudentAid BC website dashboard. If you do not have an online account and you have lost your paper confirmation of enrolment form, please call StudentAid BC. Your school may instruct the lender ( NSLSC ) to send all or part of your funding directly to them to pay for your tuition and mandatory fees. After your MSFAA has been processed and your enrolment has been confirmed, your funds will be either deposited electronically into the bank account you have specified, or forwarded to your school. The deposit usually occurs within seven business days of the confirmation of enrolment date. If you are receiving more than one student loan disbursement during your application period (check your Notification of Assessment), your school must confirm your enrolment each time before the money can be dispersed to you.